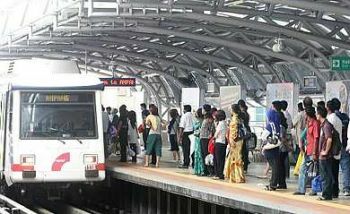 Properly-planned facilities should include public transport system. The ongoing effort to redevelop the older parts of Kuala Lumpur is taking on a new vigour with a number of government-owned land and assets being identified for redevelopment. This urban renewal programme, to revitalise the older and dilapidated parts of the city giving them a new lease of life, should be a holistic one. The rationale for adopting redevelopment projects instead of taking on new ones on virgin areas is due to the growing scarcity of land in and around the capital city. Sometimes old buildings and structures need to be torn down to make way for new developments, or they can get facelifts that may involve the external or internal structures, or both. To ensure functionality and relevance of the new projects, urban renewal initiatives should have the big picture where the newly redeveloped parts of the city blend in with the existing landscape. Before the individual projects take off, it is important to ensure the different components complement each other to further enhance and add value to the property landscape. It is also important to ensure heritage buildings and places are conserved and spared from having to make way for redevelopment. They are the living heritage of the people and is testimony of how our forefathershave came together and contributed to the building of this nation many centuries ago. Knowing and understanding the country's history has a way of bringing the people closer together towards greater unity. To ensure these various needs are looked into when drawing up redevelopment plans, the whole initiative should involve a holistic master plan instead of an ad-hoc one. Maintaining the big picture will ensure properly thought out projects, infrastructure and facilities for not only the present population but also to cater for the needs of generations to come. Planning developments holistically with proper master planning to look into the long term needs of the people, works well for both brown field (already developed) and green field (yet to develop) developments. Infrastructure and facilities, including road linkages and public transport system will also be better thought out and designed when this approach is used. Hopefully these initiatives will steer the city into the league of global city. Aiming for the much touted global city status when drawing up redevelopment plans for the capital city will be a worthwhile pursuit as this goal will ensure the massive initiative stays on the right course. It is not just about putting up towering skyscrapers and gleaming new structures which make up the hardware, but more importantly will be the intangible software that make up the overall environment and quality of life of the people. This initiative should look into the city's heart and soul, its identity and heritage that can be maintained by promoting certain themes and designs in the redevelopment plans. While identifying the right feasible projects to be undertaken, equally important will be the intangibles like the quality of the projects that include their functionality; and how they can add value to the living environment. This should be the right time to also champion the green cause by having environment friendly concepts and designs in these redevelopment plans to reduce the carbon footprint of our urban populace. Security and safety issues should also be made a top priority and it will be opportune to incorporate more street safe and people friendly features and measures. The tendency to over emphasise on the bottomline by churning out more units and focusing on sales numbers should be kept at bay. The ultimate goal should be for redevelopment projects to be a part of a greater effort towards uplifting the quality of the city's environment while injecting life into decaying and ageing townships and slum areas in the federal capital. Among the much awaited projects will be the development plans for the 3,300 acres of Rubber Research Institute land in Sungei Buloh and the Sungai Besi military airport. The redevelopment of the ageing low-cost apartments and homes in some parts of the city by the Federal Territories and Urban Wellbeing Ministry and City Hall will also be interesting as it involves many old low-cost housing projects identified for an upgrade of living conditions for the urban poor. If done properly, these projects have the potential to champion more holistic living environment, and become the new residential and commercial hubs of the Klang Valley. Deputy news editor Angie Ng votes for quality holistic environment and user friendly projects over mere aesthetics and external facades. KUALA LUMPUR: Bandar Raya Developments Bhd (BRDB) says its joint venture with Multi-Purpose Holdings Bhd (MPHB) will open new avenues for the company for land development. BRDB is seeking opportunities to diversify its development portfolio to grow itself, said its chief marketing officer K.C. Chong. In April, BRDB's wholly-owned units, Pinggir Mentari Sdn Bhd, Orion Vibrant Sdn Bhd and Magna Senandung Sdn Bhd, signed three separate joint venture agreements with subsidiaries of MPHB - Tibanis Sdn Bhd, Magnum.Com Sdn Bhd and Mimaland Bhd. The joint venture is centred on developing 268ha in Mimaland, Gombak; Rawang and Penang. It will be the first venture for BRDB in these locations. BRDB has long been accredited with the establishment of Bukit Bandaraya in Bangsar, Kuala Lumpur. It also has projects in the Kuala Lumpur city centre and Johor. The company's vision moving forward is to provide the unique Bangsar lifestyle in Rawang, Mimaland and Penang. Chong told Business Times that the joint venture is working towards launching the projects, with an estimated gross development value of more than RM4.25 billion, after 2012. "The projects are still in the planning stages. Penang would be our most expensive development. We plan to build luxury houses and condominiums, worth more than RM1 million each," Chong said. In Rawang, the joint venture is planning to build mixed residential properties and a commercial hub. Chong said the development planned for Mimaland will be the most exciting as it would change the area's landscape. Mimaland was once a famous recreation park. It opened in 1975 and ceased operations in 1993, following some unresolved plans for expansion. The joint venture project will include eco-friendly hillside, courtyard and waterfront landed homes set among natural waterways, valleys and water bodies with mature forest views. Chong said properties at its Rawang and Mimaland projects will start from RM500,000. The Xinzhongjie land parcel opposite the Dongzhimen transportation hub in Beijing, which is touted as Asia’s biggest, might be one of the last pieces of land left in the prime area. But the concentration of old and dilapidated houses and buildings with over 2,400 households and the high-end commercial designation by city planners for the future development of the area has been a stumbling block for developers eyeing the land. Defying the odds, GuocoLand China, owned by Singapore-listed GuocoLand Ltd, the investment arm of Malaysian conglomerate Hong Leong Group, has taken a calculated risk to team up with Beijing Oriental Real Estate Investment Co Ltd for the primary development of the area. GuocoLand China should make use of the good guanxi (connection) it has successfully built over the years with the local government, says its group managing director Violet Lee in an interview after the signing of a strategic cooperation agreement with Beijing Oriental Real Estate Investment in Beijing recently. Both companies will be responsible for the planning and administration of the land to meet the standard preconditions for a land grant. Their job also includes the payment of compensation for the takeover of the land, resettlement of existing residents, land levelling and construction of public infrastructure. The initial plan proposed by GuocoLand China is to connect both the Dongzhimen and Dongsishitiao subway stations at both ends of the 160,000 sq m with an underground shopping mall selling high-end fashion products and services. GuocoLand China has already developed its iconic Guoson Centre project smack on top of the Dongzhimen transportation hub. The 600,000 sq m development includes Guoson Mall, a five-star British-styled Guoman Hotel, grade A office towers, high-end residences and a 40,000 sq m rooftop garden. Miao Qian, a partner from Dongfang Hengxin law firm, says the Xinzhongjie area is not considered valuable land at all and the cost of resettling the thousands of households in the area would be very high. “If it is a much sought-after piece of land, then it would have been developed early. It is very hard to develop, not to mention the property prices in the surrounding area are very high,” he says. The Xinzhongjie area is part of the overall East Second Ring Road High-End Industry Development Plan initiated by the district government under its 12th Five-Year Plan (2011-2015). Beijing Oriental Real Estate chairman Zhang Yue says the actual number of households to be relocated and compensation cost for the affected residents are still unknown. Furthermore, there are possibilities of dragging the development for a long time and not having the desired return on investment. “We cannot say for sure whether GuocoLand China will continue to be involved in the secondary land development. But, I believe GuocoLand China will have an edge over others when bidding for the granted land because they would already have a better understanding of the desired development from their involvement in the primary land development,” he says. This is the first time GuocoLand China is involved in primary land development in the country. To date, GuocoLand China has invested US$3.5bil in China with a sizeable portfolio of completed and ongoing property development spanning 2.5 million sq m.
Is Sime’s E&O buy strategic and fair? Two questions need to be answered to assess Sime Darby's purchase of a 30% interest in property developer Eastern & Oriental (E&O). Is the purchase really strategic? Is the price fair? For both questions, the answers may well be no. Let's look at the first question. It's paying RM766mil in cash for a fully diluted 30% stake (after conversion of irredeemable convertible secured loan stocks or ICSLS). That makes it the single largest shareholder in the company but the existing management continues to be in place. Introduced into the deal is a collaboration agreement between the two companies for sharing of knowledge and expertise, leveraging on each other's core competencies and exploitation of mutually identified economic opportunities for three years. Perhaps. But is the chosen approach the best way to deal with this? Sime Darby has one of the largest land banks in the country. There is no lack of land to develop. Plus it has considerable property development expertise spanning 40 years having developed townships, bungalows, houses, condominiums, and commercial projects. Is acquiring a 30% stake in what is at best a niche developer of high-end properties the way to acquire expertise? Or would it be better for Sime Darby to acquire the necessary expertise by developing its own capabilities in-house and hiring selectively appropriate people and consultants to fill in the gaps in its own management? It would seem under the circumstances that Sime Darby has more experience and expertise than E&O and even if it lacked some of these in some areas it would have been perfectly capable to hire the necessary expertise instead of an expensive acquisition which gives it no control of the company even. Sime Darby would have done something more strategic if it put in place and executed a plan to develop its own in-house capabilities so that it can better exploit its own considerable land reserves of thousands of hectares efficiently and without having to make expensive minority investments to get expertise. Recall that early last year Sime Darby went into an equal joint venture to develop a RM1bil commercial project in its established Bukit Jelutong housing area in Shah Alam, Selangor with another property developer, Sunrise. Again why did Sime Darby, a developer with a long and varied track record, need Sunrise, an established condominium developer with limited experience in commercial development, to put up a commercial centre? Has not Sime Darby more expertise than Sunrise in this area? Sime Darby and Sunrise will have equal stakes in a joint venture to develop 20.95 acres in the 180-acre Bukit Jelutong township. The land comes from Sime Daby's huge land bank, probably the largest in the country. The price of the three pieces of freehold commercial land land was RM114mil, or RM125 a sq ft. That is a rather good price for a buyer considering that the gross development area is 2.7 million sq ft and it is a RM1bil project. In fact, one may be hard put to buy residential land in Bukit Jelutong at that price now! Sime Darby really needs to get its strategy right here and now. Next, is the price fair? The acquisition was made at RM2.30 per E&O share and per ICSLS. That's a premium of a huge 60% over E&O's closing price of RM1.45 Thursday before it was suspended on Friday pending the announcement. In fact E&O's price was climbing steadily from around RM1.20 end-March for a 21% gain despite the broad property index dropping nearly 140 points to about 960 or a decline of 13%. Sime Darby said that the acquisition was at a 20% discount to E&O's estimated realisable net asset value of RM3.2bil. However it is not clear how this was estimated and over what period of time these assets would be realised. Basically it means that the three sellers of the E&O stake benefited enormously by getting a 60% premium over the market price for their stake. Their gains over the market price alone would have amounted to a massive RM283mil. Perhaps Sime Darby, even if it thought that this was the best route for its property sector strategically, could have made a partial offer directly to all E&O shareholders for a 30% stake at a more palatable premium to market and then accepted all offers proportionately. That would have meant that all minority shareholders of E&O would have had an opportunity to partake in Sime Darby's very generous offer instead of just the select three. The select three are Datuk Tham Ka Hon also known as Terry Tham managing director of E&O; Tan Sri Wan Azmi Wan Hamzah of Land and General fame; and GK Goh Holdings Ltd of Singapore which sold their stockbroking operations to CIMB group some years back. Yes, Sime Darby is big and yes it has a lot of cash and yes it generates a lot of cash too. Which is why its strategic moves must commensurate with its overall size. Making a joint venture here and an acquisition there is not going to do much for its property division but will instead spread its resources thin. Revamping it to reflect the size, scale and complexity of its property operations and to enable it to acquire a capacity to undertake all manner of property ventures with the help of appropriate consultants such as architects, designers and planners and keeping all the profits for itself will help it much more. That's what other property companies do. Managing editor P Gunasegaram thinks that many bad corporate decisions are made in the name of this nebulous thing called strategy.